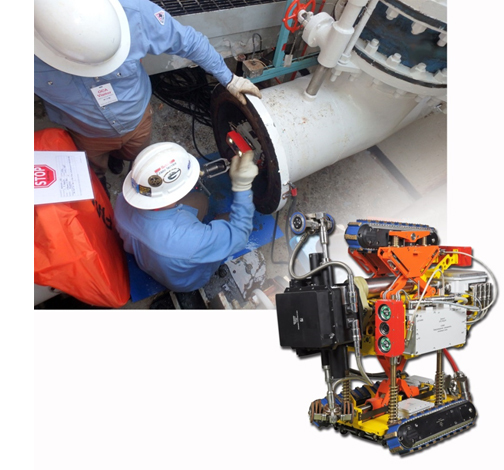 Atlanta, Georgia, May 23, 2018— Diakont received an innovation award for robotic buried pipe inspection during this year’s Nuclear Energy Assembly, hosted by the Nuclear Energy Institute in Atlanta, Georgia. The Nuclear Energy Institute is the nuclear energy industry’s policy organization. “Innovations like the ones celebrated today help ensure nuclear power plants continue to run safely and stay competitive in today’s marketplace,” Sue Perkins-Grew, senior director of nuclear security and incident response, said at the TIP awards ceremony.